Great design cues, wow factor given to the skeleton syringe hands and sector dial. 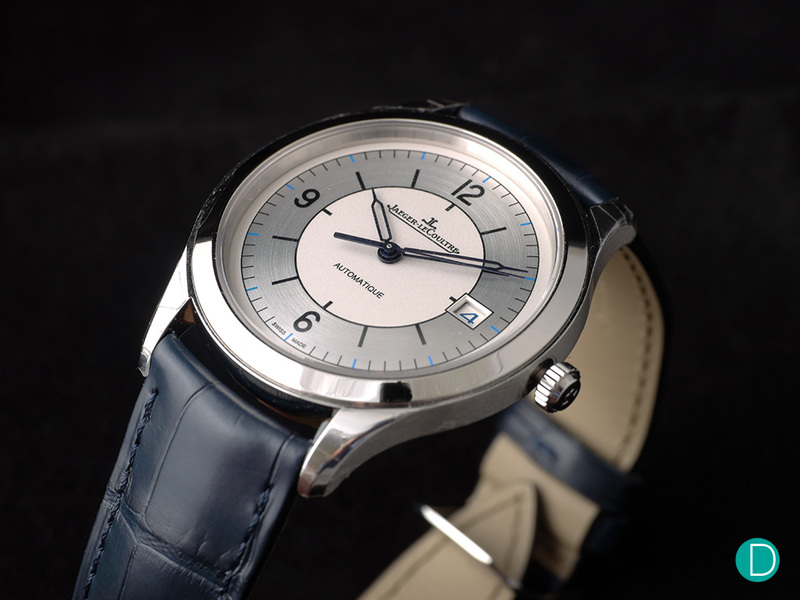 Lovely color tones, with contrasting white on silver two-tone dial. Jaeger-LeCoultre turned heads with its latest affordable price range timepieces at the SIHH 2017. Adopting a Tudor, Longines type business strategy, the Maison is set to reel in the ideal buyer persona with their highly attractive yet affordable Master Control models. 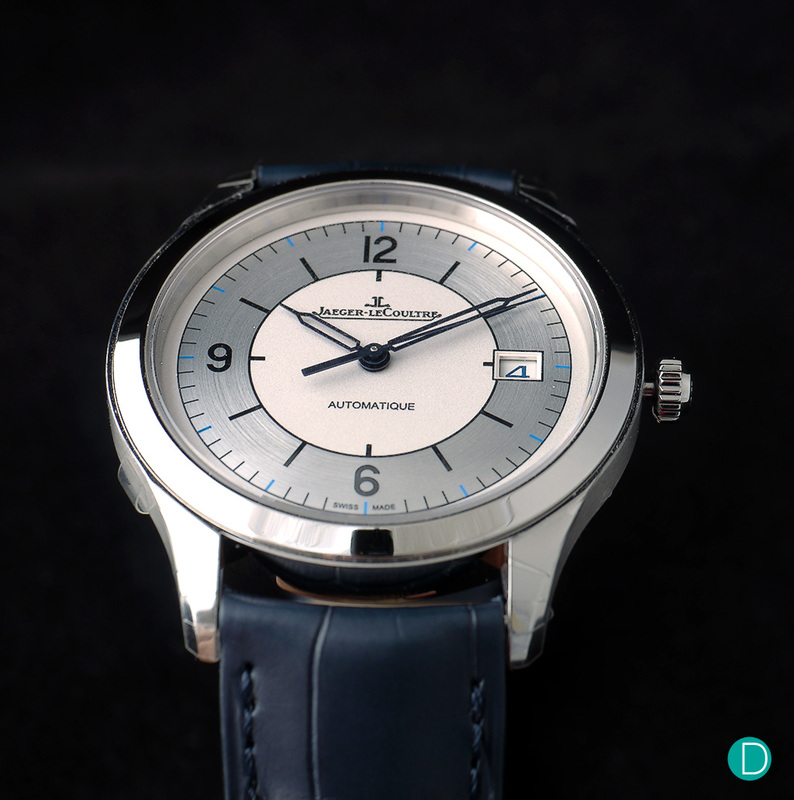 Three new Jaeger-LeCoultre Master Control models with two-tone sector dials would greet fans of the brand once they hit the stores. The new stainless steel models include the Master Control Date, Master Control Geographic with worldtimer complication and the Master Control Chronograph. 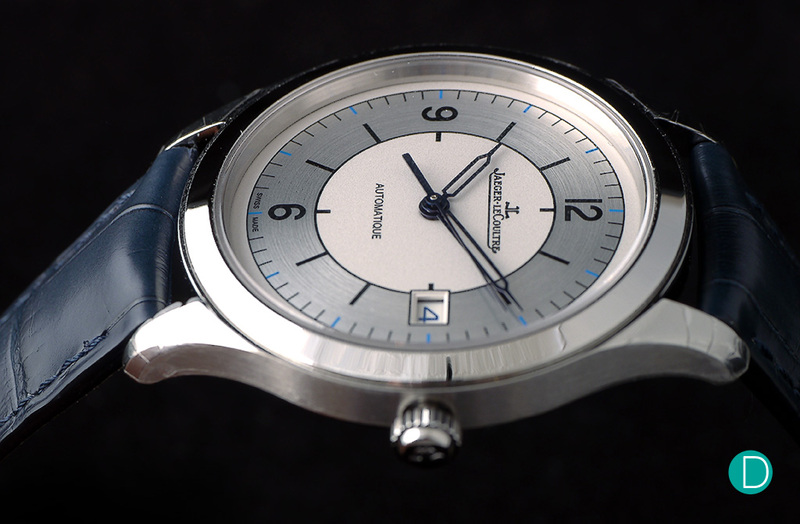 The new Jaeger-LeCoultre Master Control Date, measuring 39 mm in diameter and 8.5 mm in height. The new Jaeger-LeCoultre Master Control Date takes its design cues from the past, its sector dial bearing the DNA of some of the greatest watches in modern history. The two tone dial is spacious and symmetrical and features an opaline centre with a matte silver outer ring. The opaline centre has a powder or frosted surface texture, which enhances the depth of contrast on the dial. The two-tone sector dial is decorated with an opaline colored inner circle, and a matte silver outer ring. Marked with sky blue accents, matching blue calendar font and sector hour markers, the watch looks clean, light and subtle. Adequately matched with a thin profile of 8.5 mm in thickness and 39 mm in diameter. The best size for a time only piece. But what makes the Jaeger-LeCoultre Master Control Date stunning, especially at its price point, are those captivating skeletonized syringe hands. The skeletonized blue hands are cut out in the centre, a space which usually houses a crevice for lume application. The new Master Control Date uses the selfwinding in-house calibre 899/1, the same movement used in several of the entry level Master Control timepieces, like the Master Ultra Thin Date. The 32 jewels movement is formed with 219 parts, and measures a mere 3.30 mm in thickness. Fully wound, the movement has a power reserve of 38 hours and beats at a frequency of 28,800 vph. 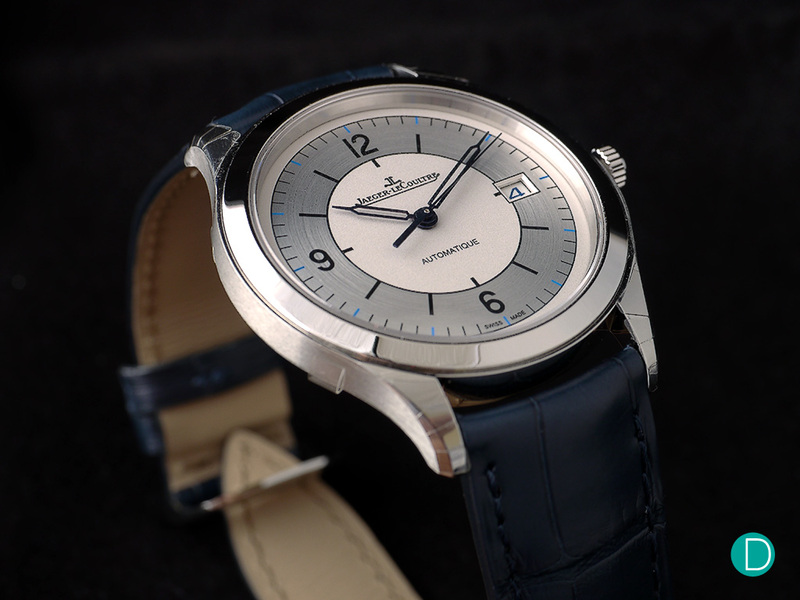 The watch is priced at US$5700, a reasonable price point for Jaeger-LeCoultre’s manufacture quality. At this price point, the watch is in an advantageous category for an in-house pedigree movement. It retails at US$5700, 10% less than its predecessor Master control date priced at US$6350. A great movement, beautiful dial and hands for the price, thin and classic, and a step ahead of many run off the mill base model timepieces in its range.